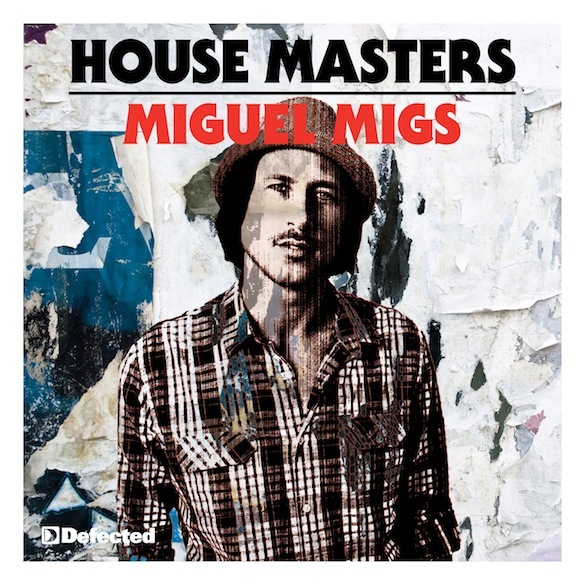 Miguel Migs, a certified House Master. Set to join the illustrious ranks of House Master – alongside previously celebrated producers such as Louie Vega, Dennis Ferrer and MK – early next months, here Defected’s Stephen Worthy caught up with to discuss his West Coast musical upbringing, his live show and how he went about selecting the records for the compilation. Do you have a particular outlook on life? My parents were classic California hippies and I grew up around a very positive and open-minded mentality and environment, and that’s definitely stuck with to this day. To each his own, but you gotta enjoy the ride, do what you feel and be creative with your own mind! I actually never planned on creating and producing electronic music and DJing as a full time profession. That was never my ultimate goal. Although I am extremely grateful it has become my profession, as a kid I grew up playing in Dub bands, playing guitar, writing songs and performing live. Then the electronic music direction sort of just naturally progressed into a full time gig. I just love writing music, experimenting with sounds and working with different vocalists. What was the first instrument you bought? I must have been 8 years old and was living in Santa Cruz California with my mom and she bought me a super cheap guitar at the flea market. I wanted to be Jimi Hendrix. And the first record you bought? My dad had the best record collection growing up, everything from Muddy Waters, The Stones, all the Led Zeppelin albums, Hendrix, Jimmy Cliff, Bob Marley and loads of great music that was always playing in our house. I used to ‘borrow’ and play his records all the time, so I cannot exactly really remember the first one I actually bought myself. How did growing up in San Francisco influence you? When I was a little kid my mom lived in Santa Cruz (an hour south of San Francisco) and my dad lived in Marin county (just across the Golden Gate Bridge) so I remember going back and forth between the two places. My folks were hippies, so they were very cool and open-minded. I’m sure that help set the tone for who I am as a person and how approach what I do. I definitely find inspiration in many ways and I’ve always been very spontaneous and adventurous, staying open minded to people, places, foods and music and arts. So what was it about electronic music that captivated you so much? The communal vibe aspect of it all sort of first captivated me; all different kinds of people – black, white, gay, straight – all coming to together to these underground warehouse parties to just dance, have fun and let loose. And the deep, soulful dance music that was played really inspired me. I was drawn right away to the deeper more soulful sounds of dance music, which makes sense being that I come from playing and listening to all different styles of music. I gravitated towards the more soulful side of the spectrum because of the melodies and grooves. I believe you were in a Jamaican band called Zion Sounds. Did dub music influence you growing up? Absolutely, I was instantly hooked on these sounds even as a child. As a young kid I was going to reggae shows and record hunting for reggae and dub records… you can definitely hear this influence in the music I write and create. The basslines, the effects and sounds in some of my songs are very much inspired by dub and reggae flavours. Do you remember the first time you encountered electronic music? I was living in Santa Cruz at the time, and as a teenager we started going up to SF to check out these warehouse parties and I was instantly hooked on the deeper, dubby and soulful sounds in the music. Being that I was playing and writing music at the time with my band, my interest was how this music was produced and created. So the next step was buying a keyboard and experimenting with creating beats and sounds. How did you source new music back then? I was always going to these little record shops all over the bay area, digging for records and music that resonated with me. I was really drawn to those early classic Nervous and Strictly Rhythm records, among many others of course. When did you decide you wanted to push forward with it? I started messing around in the early 90s on my friend’s turntables, playing records for fun. Then I started getting these gigs at house partyies and then bars and so on and so on. A little later I started writing, producing and releasing electronic/house music, it all started expanding and progressing into an actual career. As soon as you start hearing your own music played out in the clubs and getting requests to do remixes and EPs for labels, it’s all very inspiring and exciting to see the movement, so I just rolled with it. How does it feel to be making your return to Defected? When they asked me to do this House Masters compilation series I was really into the idea of selecting old and newer material for a compilation, since I’ve never done that before. Going through your own catalogue and choosing various songs within your own body of work is an interesting project and some of the songs I had not heard in many years. Is it a label that’s in line with your own thinking? I definitely appreciate how diverse Defected has always been. As so many labels have come and gone over the years, it’s a tough industry to survive in, especially now, through all the changes the music biz has gone through in recent times. But they have stayed in the game doing their thing on large scale within dance/house music, and continuing to release some good quality stuff. That says a lot. The track selection is based on a few factors here. While going through my body of work up till this point, I wanted to showcase a wide variety of styles and a balance of old material as well as newer songs. It’s a fine line between choosing a steady musical flow and keeping it somewhat interesting with the track selection by choosing a balance of soulful vocal works, deeper dubs, and various tempos. Mixing up the track listing and focusing on creating an enjoyable listening experience through a span of time, while also having some updated and unreleased versions to spice things up. Being that I come from an open minded range of musical tastes I wanted to showcase some of that diversity in this compilation. Even though some of the material is fairly old at this point in time, I hope the listener is able to appreciate the spectrum of sounds and understand that I just love music, plain and simple. And regardless of current trends or hype I try and stay true to creating music that I feel and genuinely enjoy, taking inspiration from everything around me. Are you still playing live? If so, why do you like playing like that? I would love to do another new live band project but it requires so much time and energy rehearsing and putting the show together. To do it right and how I vision it being, it would require a serious commitment and I just do not have the time right now. Maybe in the future, you never know. But I do love the dynamic in playing live music, connecting with the people on stage and locking into performing a song live is something very special when it all comes together. 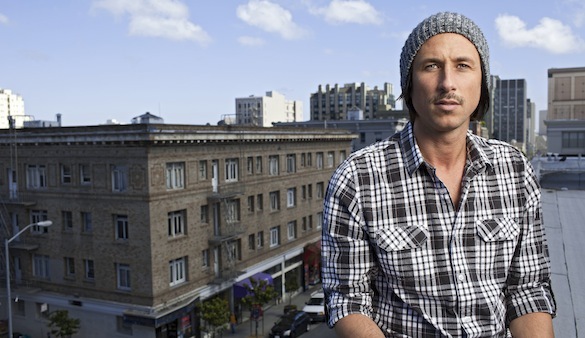 What else can we look forward to from Miguel Migs in the future? I’m working on a new album project right now, writing a lot of new songs featuring some great vocalists. Working with artists that I have never worked with before is always exciting. I always have so many ideas, so many things I want to do with music. But of course you gotta take one step at a time.